The Conrad Goetz Contemporary 112 Violin is a modern violin designed for advancing musicians who need a post-modern sound. The Contemporary 112 has been built to the highest standard, using only specially selected spruce and maple for the body. 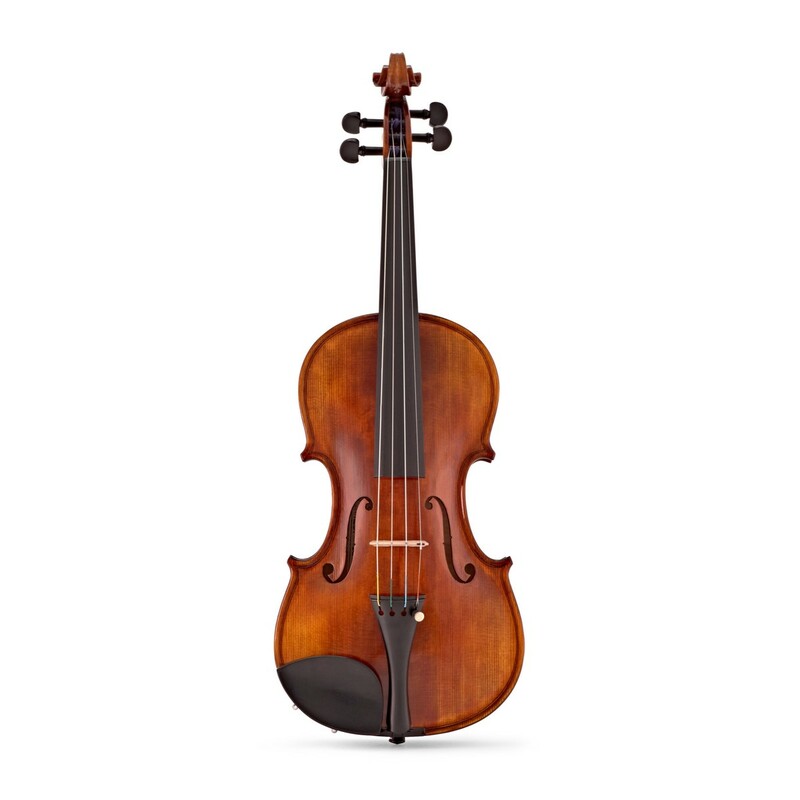 The Contemporary 112 features a custom Goetz extra flat chinrest and a precision silver fine-tuner on the E string to ensure tuning can always be easily corrected. Included with the Contemporary violin are high-quality Thomastik Dominant strings for a balanced and warm tone. 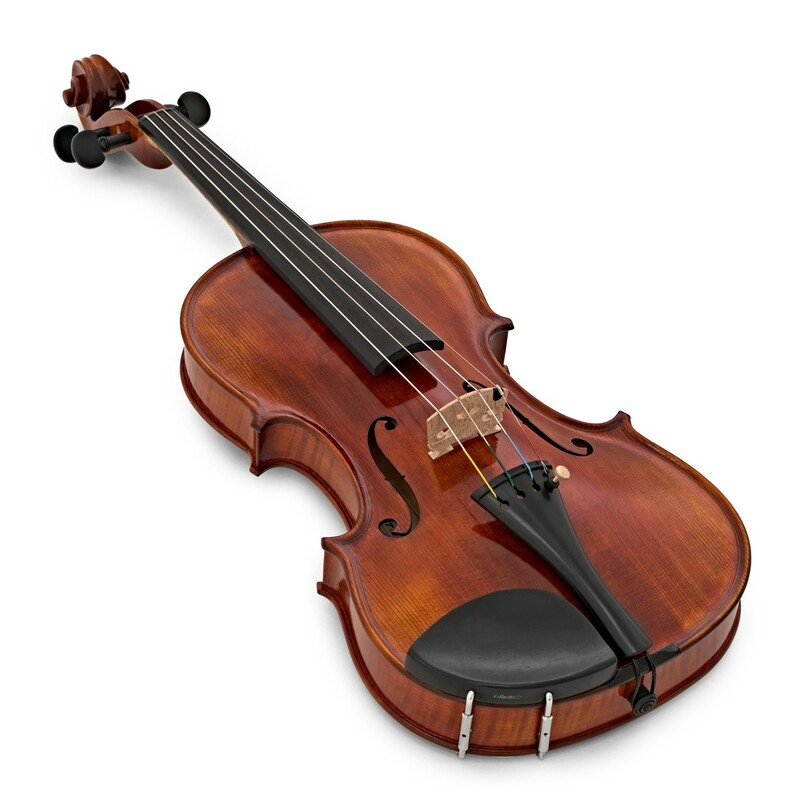 Please note that this violin does not include a case or bow. These can be purchased separately from our string accessories page. 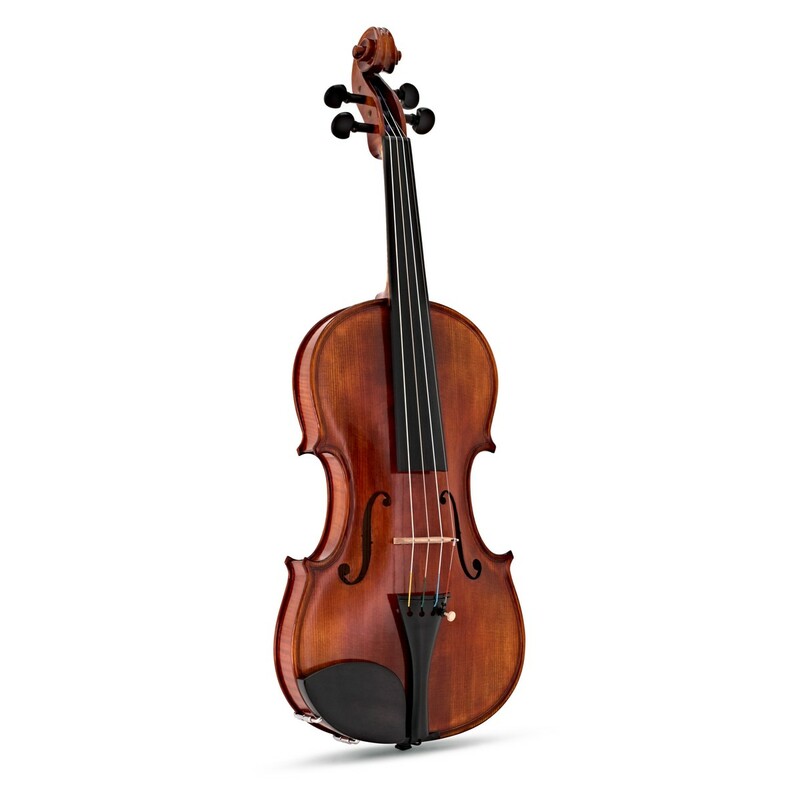 The Conrad Goetz Contemporary 112 Violin is constructed using premium CITIES friendly sustainable materials. 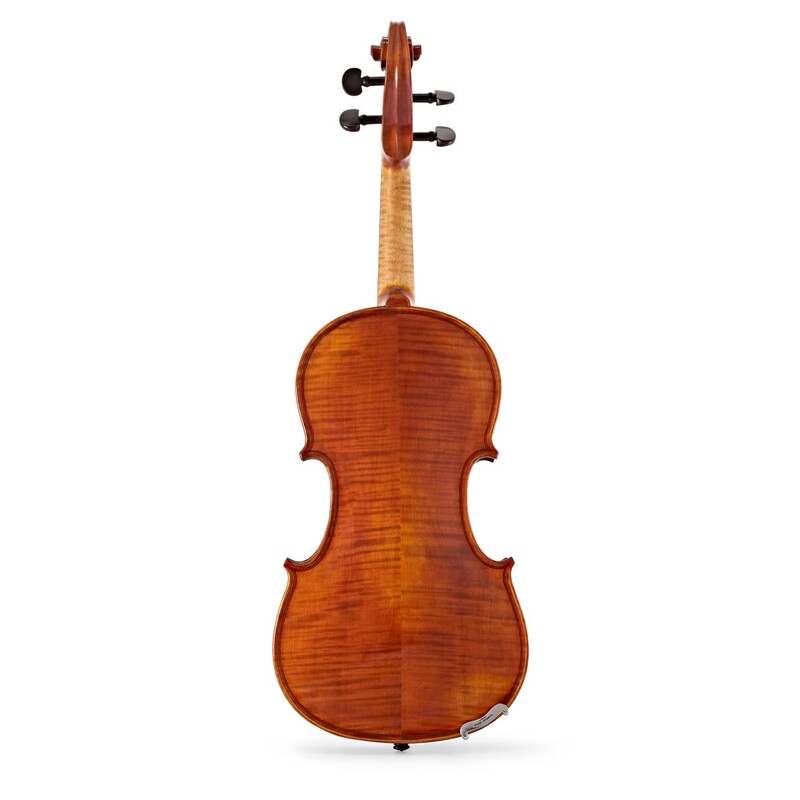 The top of the Contemporary 112 is specially selected spruce, while the back and sides of the violin are maple. This combination produces a focused sound with plenty of depth and tonal warmth. The back and sides of the 112 feature a beautifully narrow and aligned flame while the neck and scroll are nicely flamed with an even gradient of annual rings. Once the Contemporary 112 has been constructed, it is hand-finished with a closed varnish with a matte finish to provide a professional look. 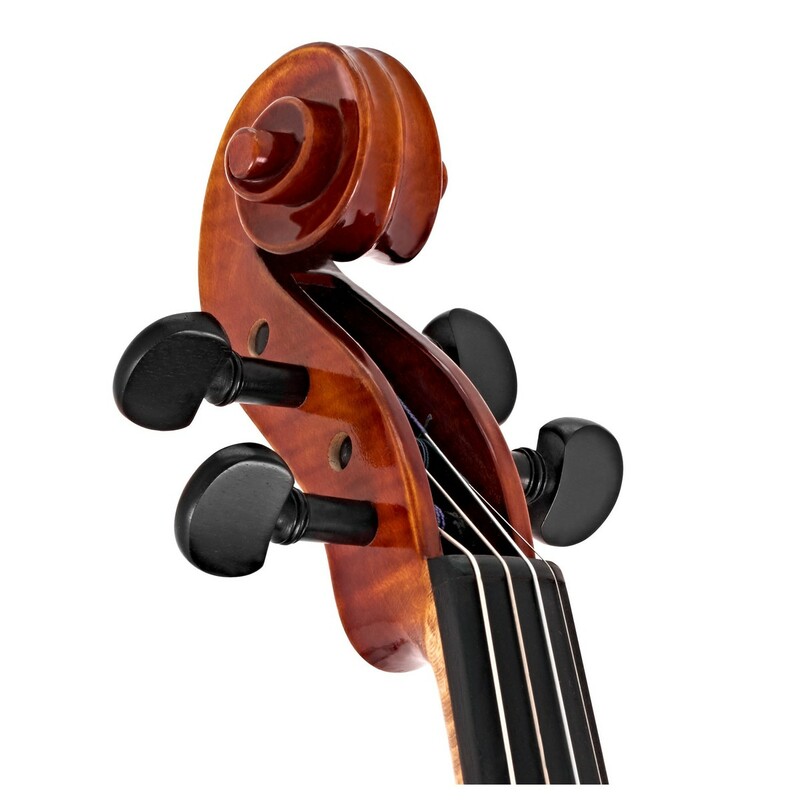 The Goetz custom extra flat chin rest is suitable for a variety of playing styles and is favoured by contemporary soloists. 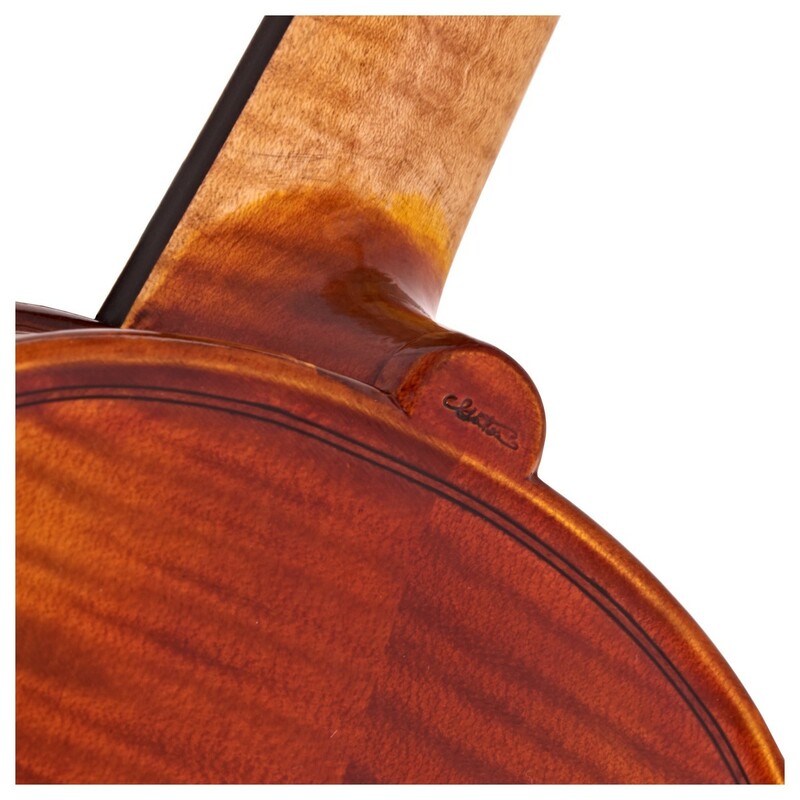 The Conrad Goetz Contemporary 112 violin is fitted with an ebony tailpiece, fingerboard and an original Goetz bridge with an ebony supported E-string. The Thomastik Dominant violin string set has a versatile sound and a warm, clear tone. Thomastik's synthetic strings are resistant to change from humidity which provides durability and reliability, as well as having the tone of real gut. The E string has a steel core for sustain and increased volume. The Thomastik Dominant strings are incredibly versatile and can be played in either a live, studio or casual musical setting. 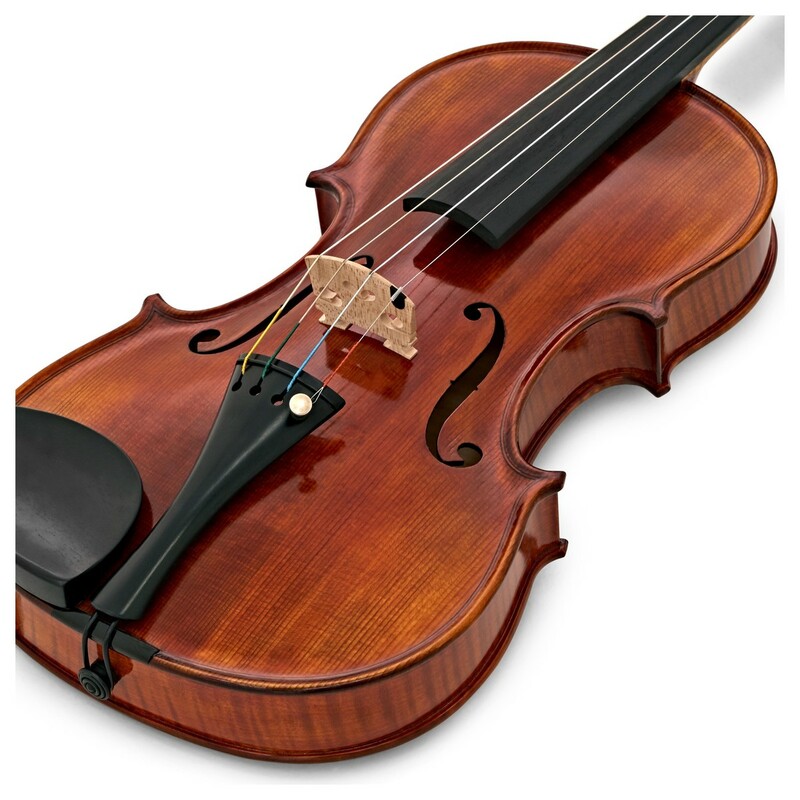 Conrad Goetz started producing violin parts in 1884 and has grown to be one of the premium string brands in Europe. Goetz pride themselves on using only specially selected materials that meet their high expectations to ensure only the highest quality instruments are produced.